I have found the perfect house for us (that is myself and the love of my life, Lynn). The cool thing is that it is a “green” house. Not in color but in building and in operation. It is a near zero energy home. In St. Louis, there is a cool green ecofriendly company, Sage Homebuilders who builds green. This is a brief summary of some of the guiding principles we employ when designing a new home. A few examples – passive solar (orientation to sun, roof overhangs, better daylighting, use of shade trees), eco-friendly siting considerations, higher density developments, specify green framing techniques and green products, etc. This is, perhaps, one of the most difficult things to achieve; something that you know when you see it, but have a hard time saying why. Need to avoid flat facades (vary depths), incorporate a porch, substantial trim, create an interesting focal point (nice door, bay window, etc.) use quality materials (no vinyl siding and trim), don’t mix design styles in awkward ways, pay attention to proportionality, make the main entry something special, do substantial, but not crowded landscaping, reduce impact of garage door, etc. Eliminate spaces that are rarely used (such as a separate formal dining and living room), use multi-purpose rooms, combine rooms, use as much space as is needed to be comfortable. In general, the smaller the house, the more functional, the more easily maintained/kept clean, and the more energy efficient. 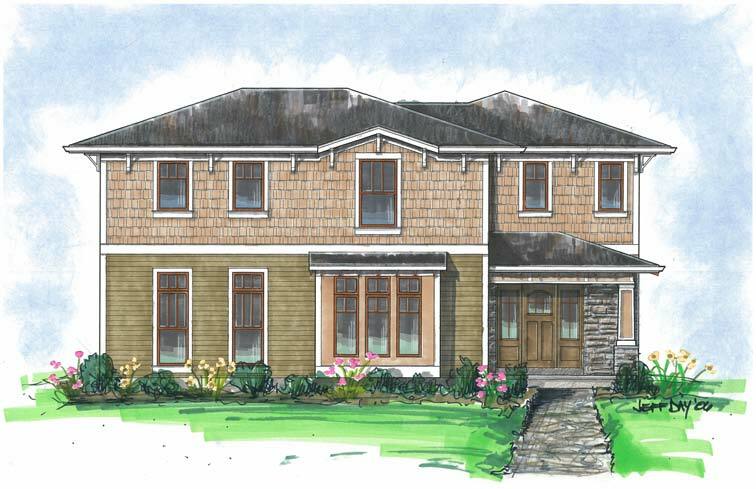 Although we will build any size home for a custom client, we believe the ideal size to be 1500 – 3500 square feet. Use of varied ceiling and floor heights, half walls, columns, “floating” fireplace, etc. to create division without closing off space; create long site-lines, or the ability to see through to other rooms (french doors between rooms). Open-feeling, but not cavernous; free flowing, but still cozy. Create outdoor alcoves or rooms, take advantage of views fully, lots of double door exits, windows that “frame” in the view, back and front covered porches, courtyards, etc. Limits on this item must be considered, though, since windows and doors are the least energy efficient part of the building envelope. Maximize use of natural light (use of skylights, larger windows, upper wall light transfer, tube lights, hallway/stairwell windows, open floorplan, etc.). Maximize use of indirect lighting (under cabinet, alcove, sconces, lit ceiling spaces). Avoid harsh lighting, and offer the ability to adjust light level. Most people are attracted to the smaller, cozy, safe spaces. Examples are a reading nook, a smaller hearth room, a window seat, etc. Take the savings from using less square footage and put it into using higher end flooring, plumbing fixtures, lighting fixtures, paints/wallpaper, kitchen cabinets/counters, appliances, doors/trim, closet systems, etc. These days, you do not necessarily need to spend a fortune to achieve an above average outcome. For custom and pre-sale clients, we offer assistance in choosing finishes. Avoid having all square spaces, avoid sliding closet doors, use: angled entry to rooms, wider trim, arched room transitions, barrel and cove ceilings, etc. Make each home unique by adding a few creative flourishes that are particular to that home. Blend with neighboring homes, in terms of size, style, colors, etc., without looking too much like the house next door. 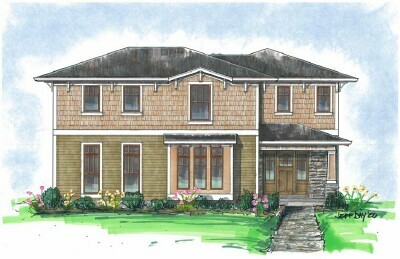 As the designer of this home,(and most of the homes Sage Homebuilders builds), I truly appreciate the HUGE compliment! home design is such an important part of the overall process. Its much easier to do the upfront work to satisfy the customer, than to try to make them happy when they aren’t satisfied.